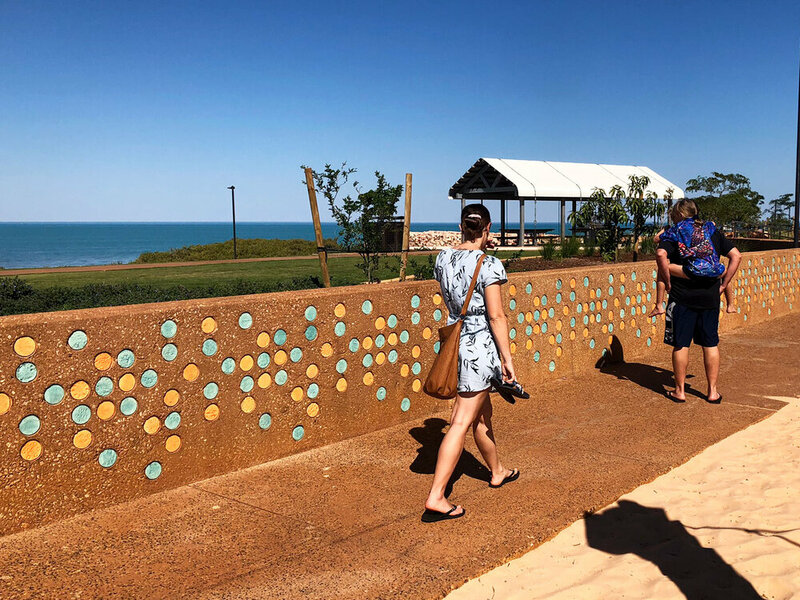 The Frederick Street Lookout in Broome provides a shaded resting point with views over Roebuck Bay and Dampier Creek. 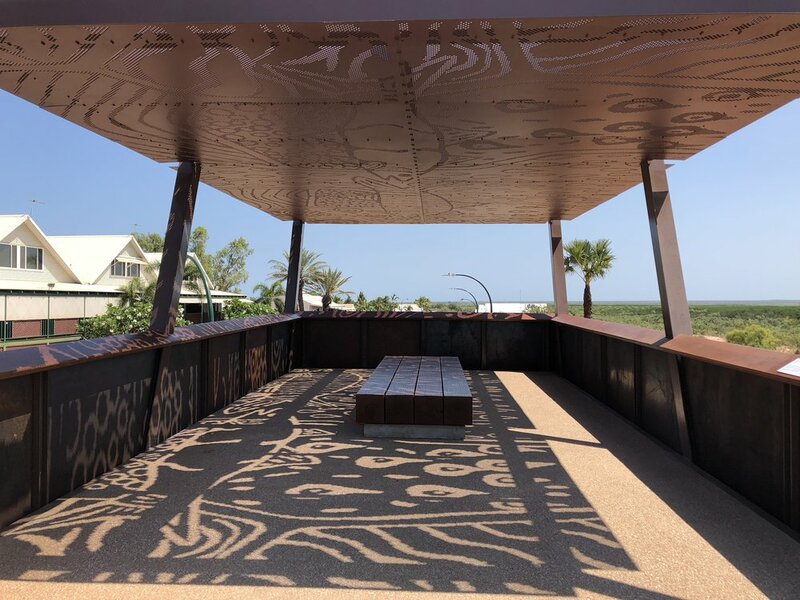 MudMap Studio was engaged to facilitate the public art development for this site, working together with Nyamba Buru Law Bosses, artists Ricky Roe, Martha Lee, and students from Broome Girls Academy and Broome Senior High School. 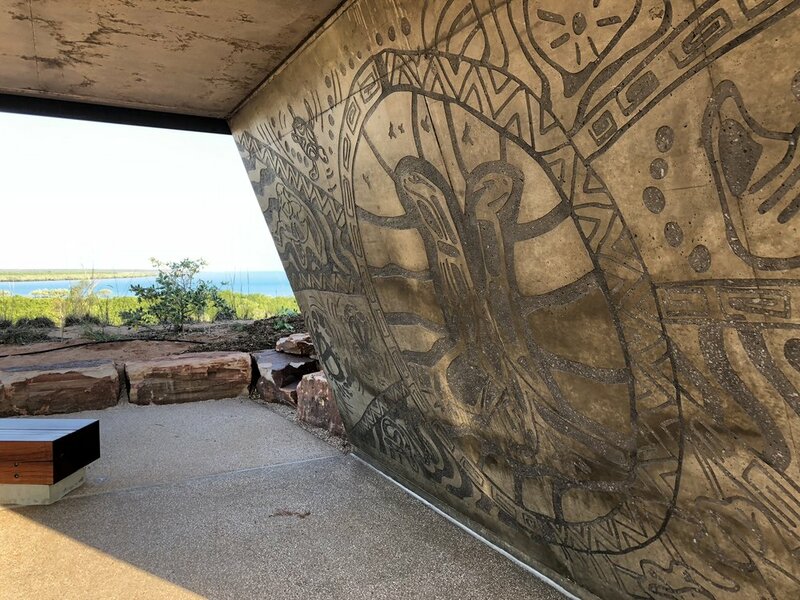 There are two artworks integrated with the lookout – Jarlangardi (Goanna), a concrete art piece by Ricky Roe and the Broome Senior High School, and Walga Walga (Blue-Nosed Salmon), an artwork set into the ceiling of the lookout shade structure by Martha Lee and the students of Broome Girls’ Academy. 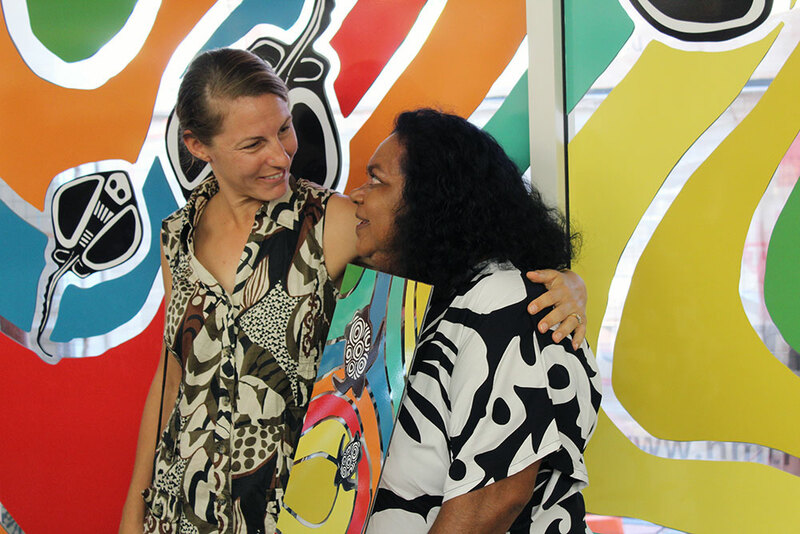 To create these works, the artists shared dreaming stories of the area with the students. 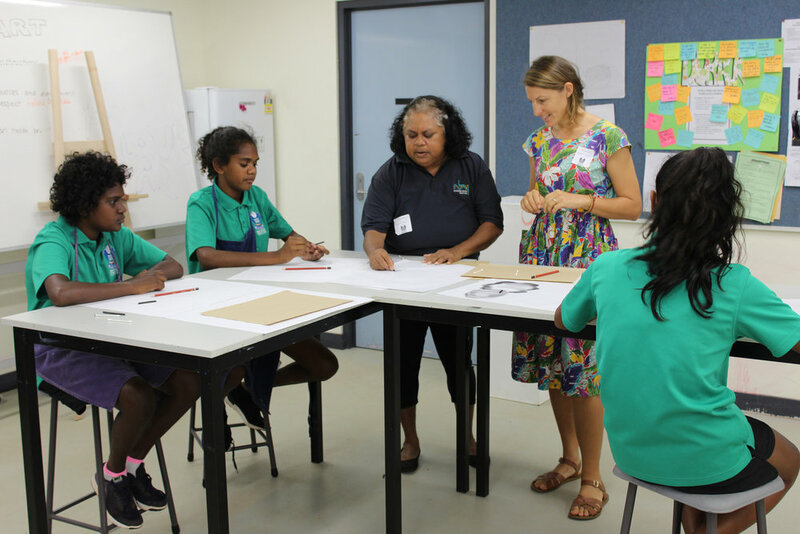 The students then interpreted the stories through drawing. 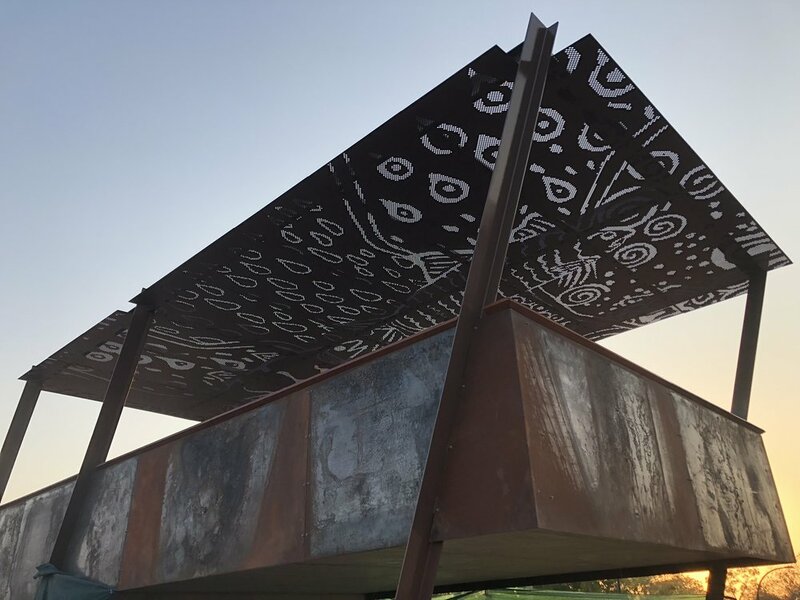 The drawings were combined by the Martha and Ricky to create the works, which are now key elements of the lookout design. MudMap Studio’s role was to facilitate the design process, produce digital drawings for fabrication and to oversee the installation.